“Booth babes” have long been a staple of the trade show industry. Scantily clad women undulate and preen at passersby. Every few years, a scandal arises in Vegas and folks write and kvetch about what exactly these girls are selling. But the practice itself largely continues. From Fortune 500 companies to startups, businesses employ women to hawk merchandise. They rarely use half-naked men. But exploiting women to sell your product or boost your company’s image also costs. It costs you buyers. It costs you female employees. It costs you the opportunity to be a forward-looking leader in your industry. And we hear from plenty of boys who would prefer to be enlightened men when it comes to pursuing equity in the work place. Outside of trade shows, on billboards and in break rooms, while organizations may claim to be taking official steps to hire women, “bro cultures” and “good old boys’ clubs” still function to make women feel like outsiders in a workplace. And while businesses may claim to be committed to recruiting and hiring women, a closer look at the products they sell, the advertising they circulate, and the culture they project may tell a different story. The car-hailing giant Uber learned this lesson recently. Despite its first-to-market, worldwide mega-success, Uber is on the defensive after a female engineer spoke openly of “sexual harassment and pervasive sexism” at the organization. The engineer, Susan Fowler, cited repeated interactions with the Human Resources department at Uber, who refused to discipline the man who propositioned her and many of her colleagues. This allegation has become one of a number of news items depicting Uber’s culture as toxic to women. A commitment to equity must be pursued not only in the office, but outside of it, in the messages and branding that an organization sends into the world. Last year, Fox Pictures received flak for a billboard promoting their recent X-Men movie. Despite worldwide distribution and a highly marketed brand, Fox tried to entice filmgoers by circulating an ad that depicted a large man choking a woman. Public outcry was swift and an apology soon followed, but the damage was done. Condoning misogyny or the objectification of women does not just make women uncomfortable. Plenty of men dislike the practice, too. 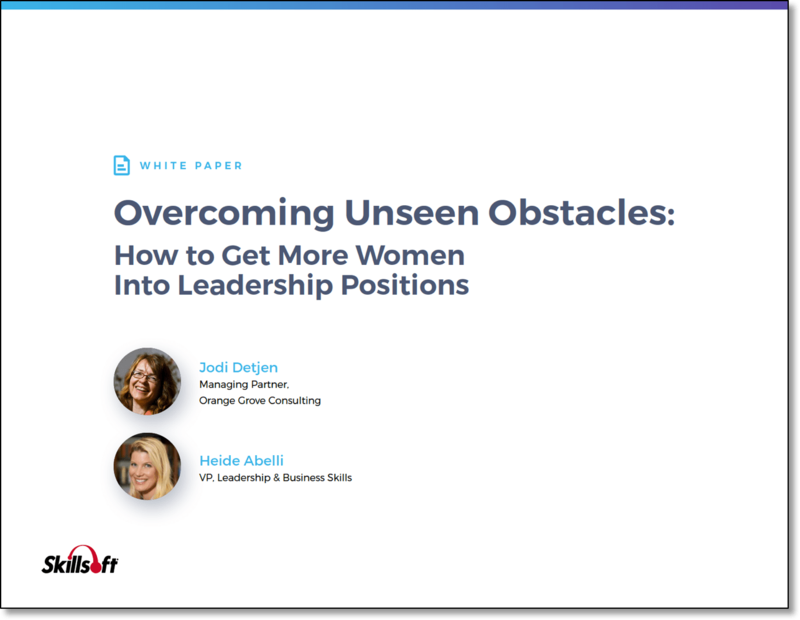 If your organization truly wishes to make a commitment to equity, then women must be represented at all stages of production, from the inception of an idea, to its branding and marketing, to its appearance on the trade show floor. And if employees do not see that happening, Human Resources should indeed be a resource for them—a place to have those hard conversations, a place to ask “What is the gender wage gap here at company X?” and a place where employees can trust that reporting sexual harassment will be both confidential and lead to a safer workplace for all. What about your workplace is unconsciously gendered? Was your recent team-building activity paintball? Are your networking events centered on golf? 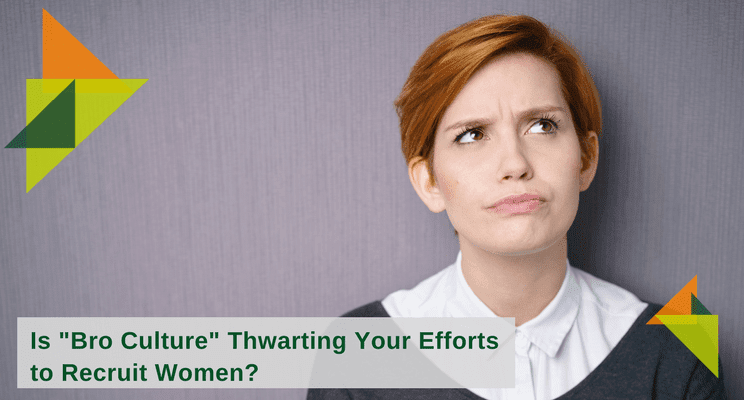 You may have abandoned the “booth babe” gimmick years ago, but does your company culture truly honor the contributions of women? If the moral case is not compelling enough, then go with the economic one. Women control 70-80% of consumer purchasing. Companies that recognize this are more profitable in the long run.